The Books Are My Bag Readers Awards are one of a kind. The shortlists are created by real booksellers from across the UK and Ireland, and all the voting is done by you – the public! 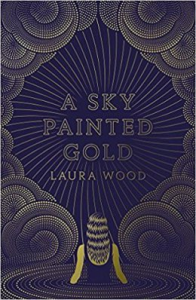 We are over the moon to announce that our very own patron of reading Laura Wood has been shortlisted for her novel ‘A Sky Painted Gold’ in the Young Adult category. Please show your support for an ‘old Edwardian’ by voting for her here. A gorgeously dreamy coming-of-age romance set against a stunning Gatsby-esque backdrop, this is perfect for fans of I Capture the Castle and Eva Ibbotson. 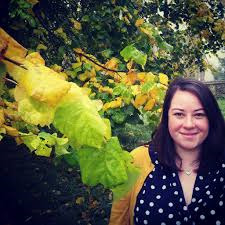 Growing up in her sleepy Cornish village dreaming of being a writer, sixteen-year-old Lou has always wondered about the grand Cardew house which has stood empty for years. And when the owners arrive for the summer – a handsome, dashing brother and sister – Lou is quite swept off her feet and into a world of moonlit cocktailparties and glamour beyond her wildest dreams. Available to borrow from the LRC NOW!